MIX IT UP! 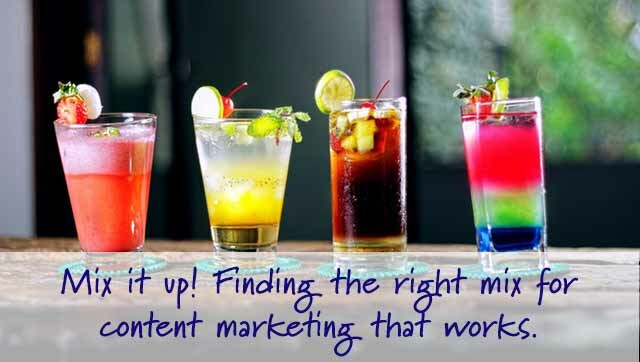 THE RIGHT INGREDIENTS FOR CONTENT MARKETING THAT WORKS. We LOVE helping our clients learn how content marketing can revolutionize the way they market their business online. 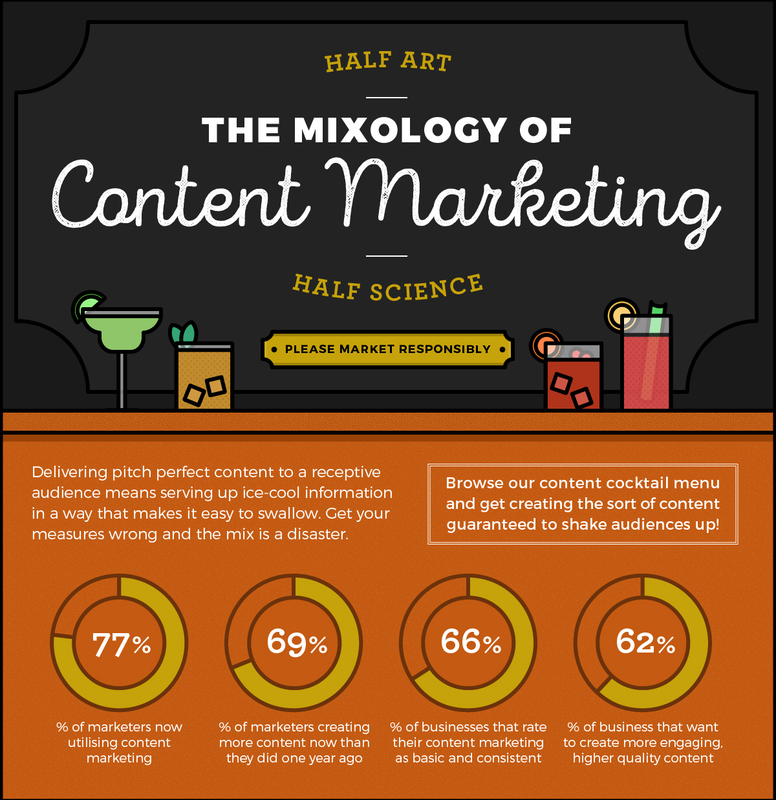 But we often hear from clients that they don’t really understand how content marketing is actually supposed to work. What kind of content should they be posting? 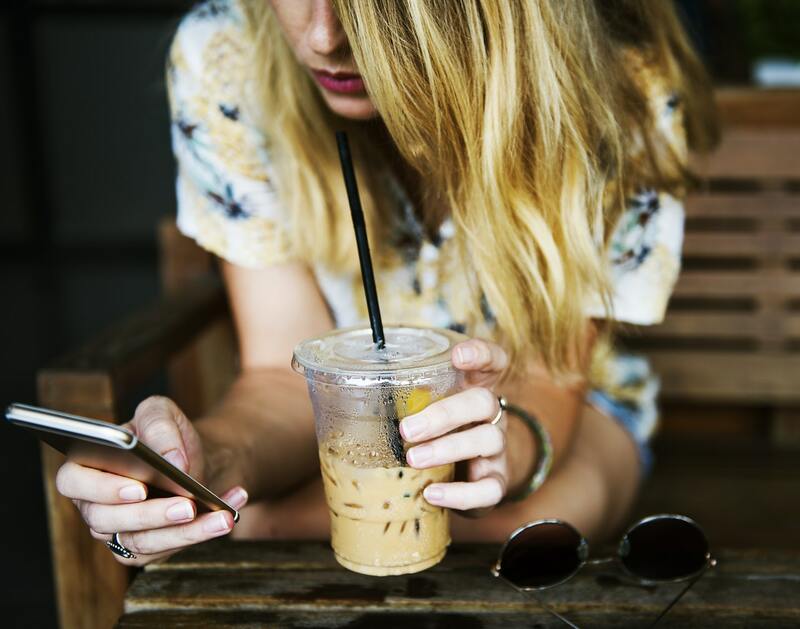 How does creating content actually help them grow their business? 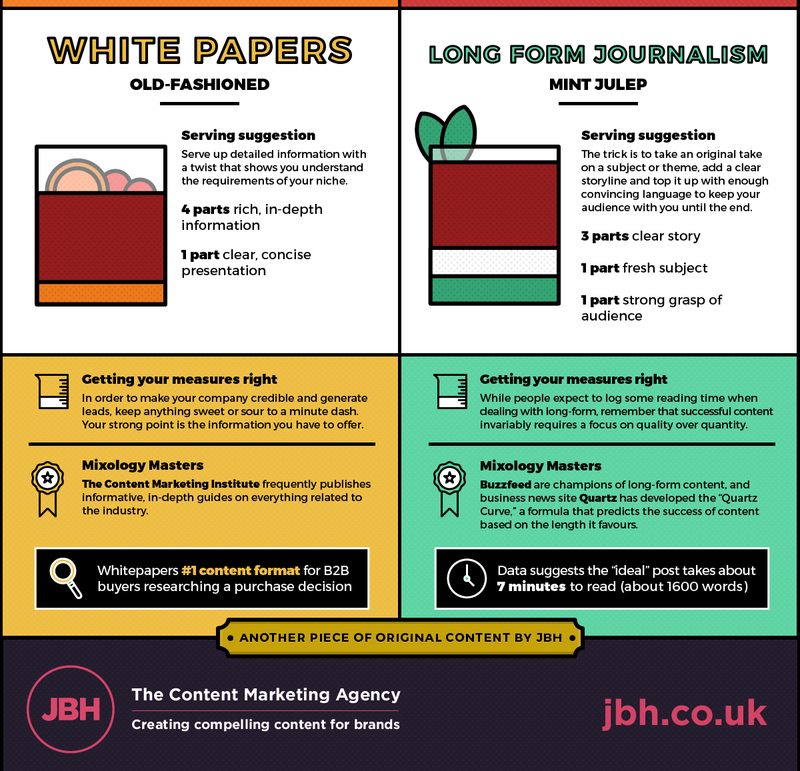 Well, the content marketing team over at the JBH Agency has created something really helpful to answer some of those questions. 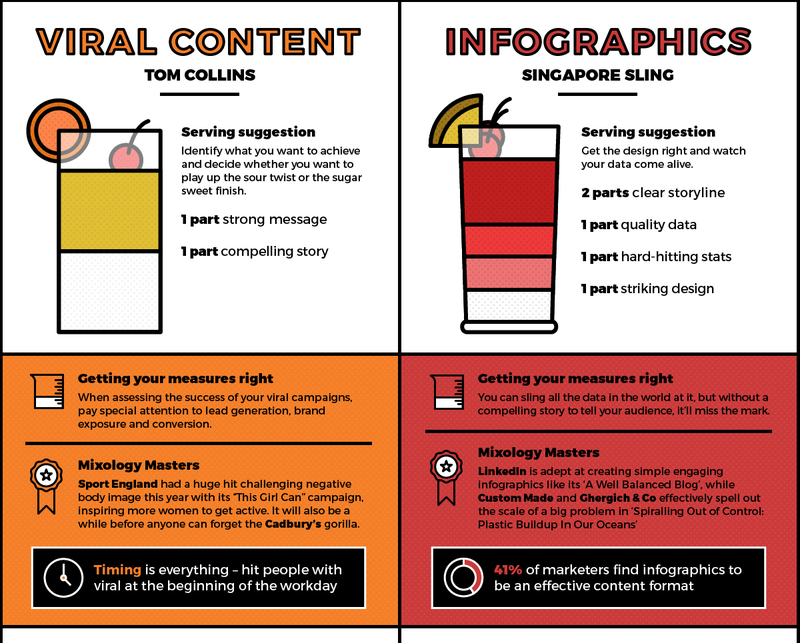 This infographic is one of the best we have ever seen! 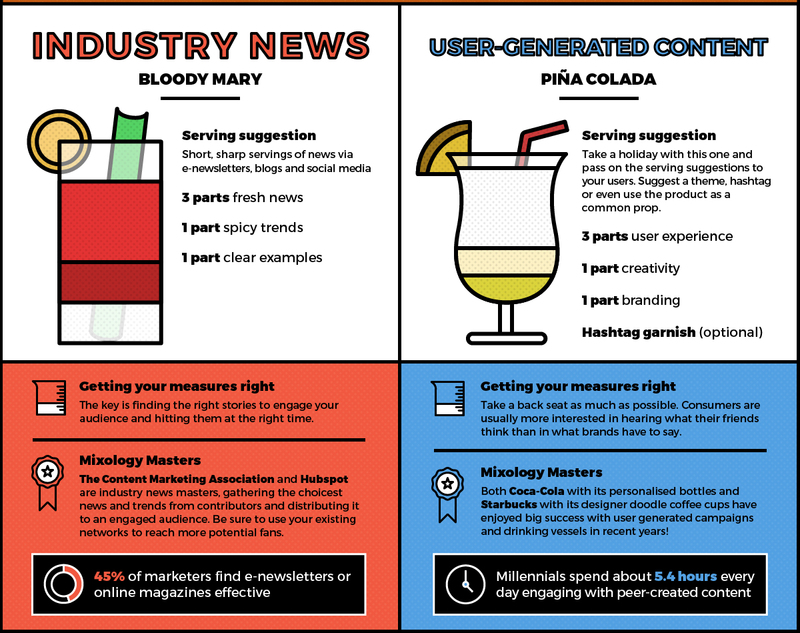 It helps that they combined two of our favorite things– cocktails and content marketing! 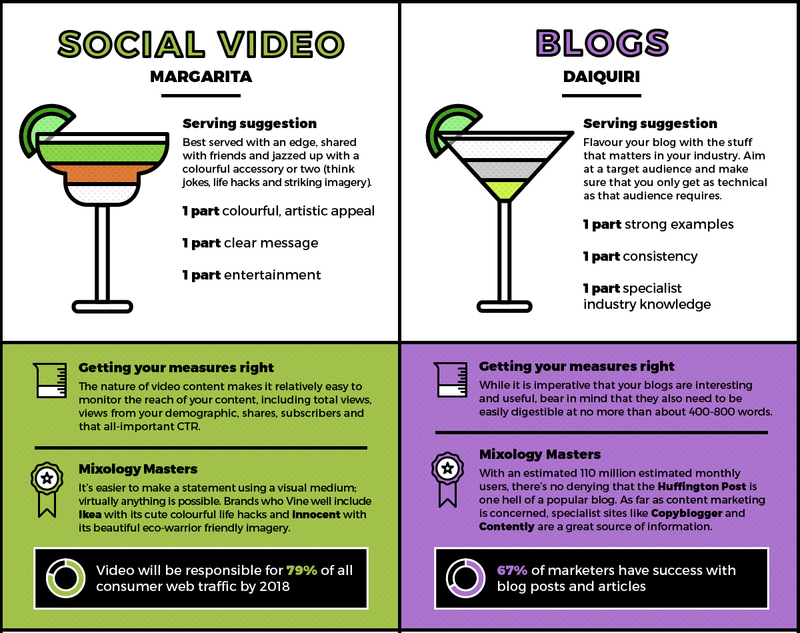 We’ve broken the graphic up into some easy to digest tidbits, so step on up to the bar and get yourself some tasty knowledge! Kate is a digital strategist, designer, and branding enthusiast. She can usually be found working on her laptop with one or more of her dogs near her, cooking elaborate meals, or talking lovingly to one of her many plants. Is your website your most powerful marketing tool? Does it turn strangers into customers, and customers into advocates? If not, let us help you! No more crummy mobile sites! 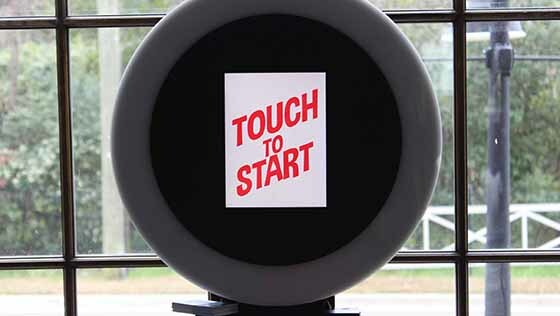 How responsive design just became mandatory. NowSoft is a digital design agency. We build websites, we do SEO, and help small businesses use social media to smash their marketing goals and grow in new ways. NowSoft is a caring and experienced design company dedicated to meet your needs now and for the future!